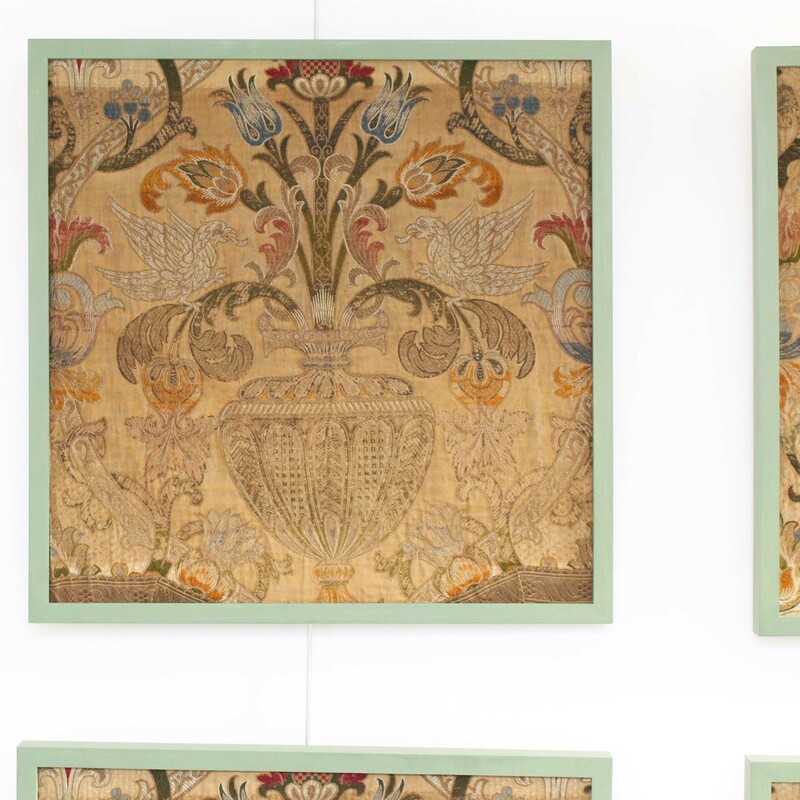 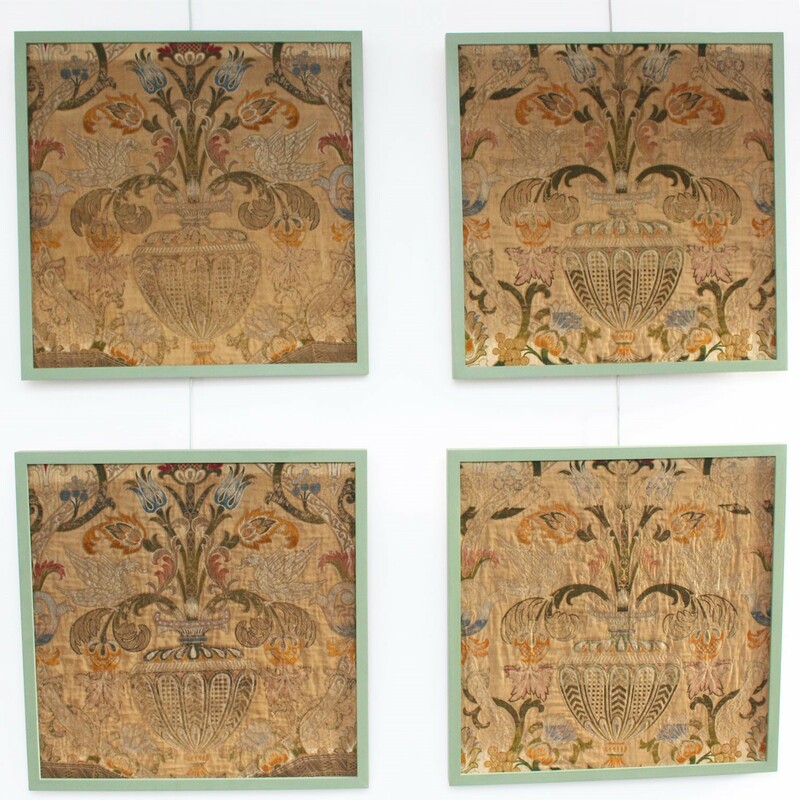 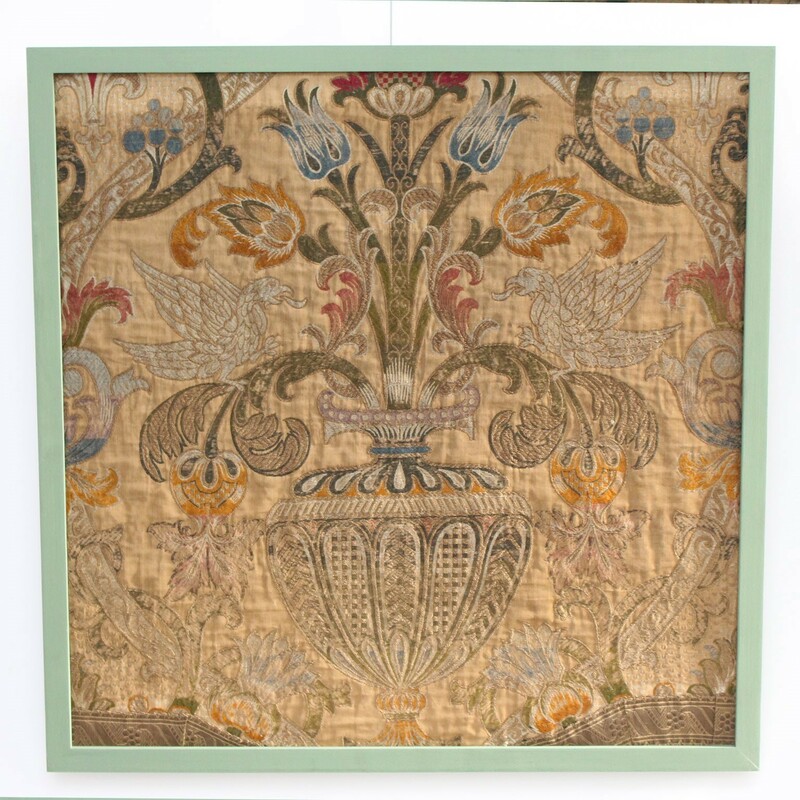 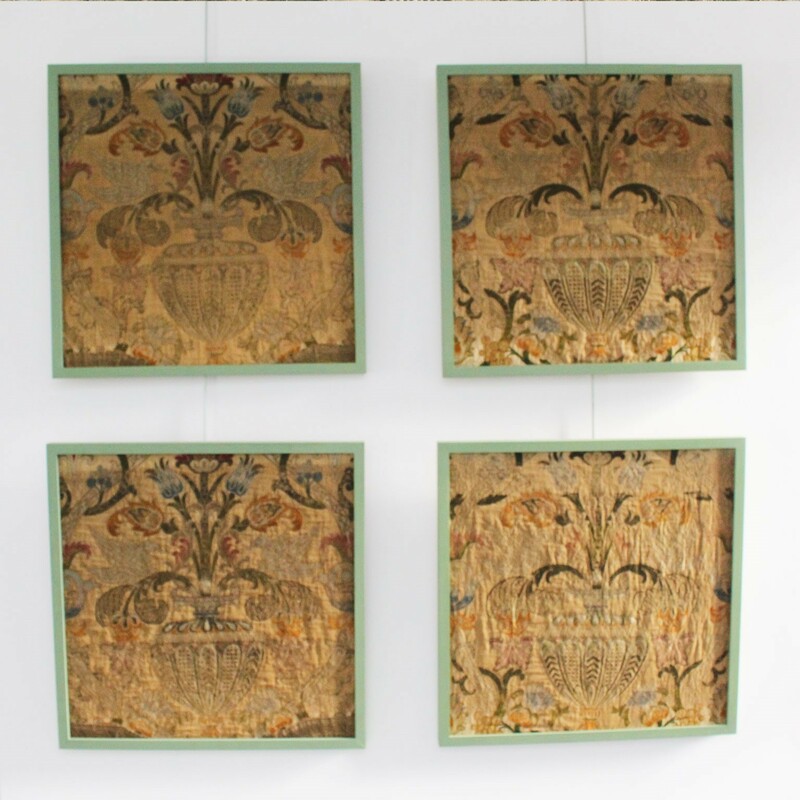 A Set of Four Late 17th C Italian Woven Silk Panels. 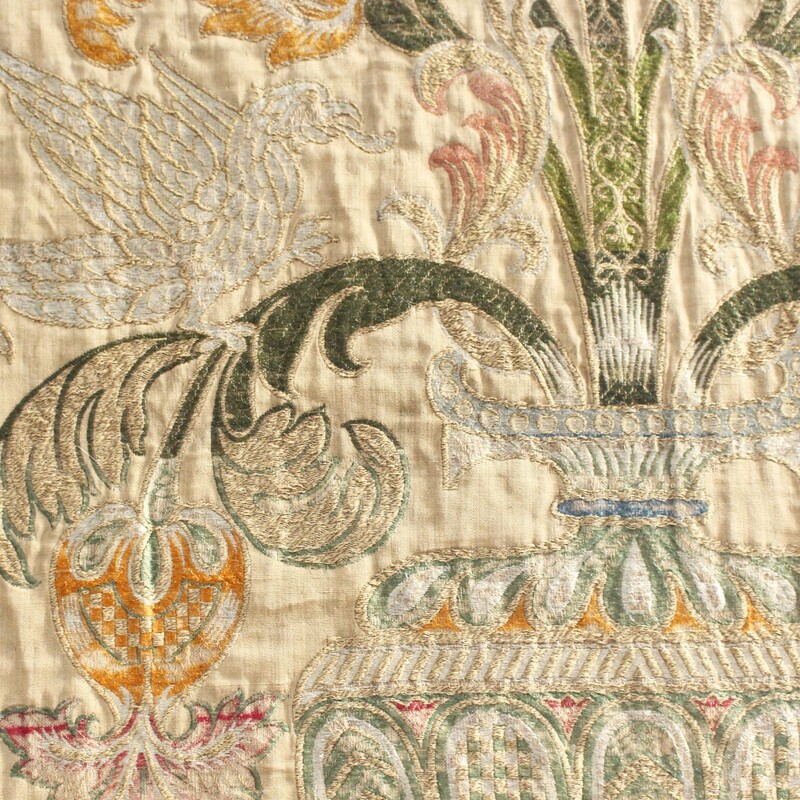 These early Italian woven panels depict mythical creatures, urns, plants and leaves. 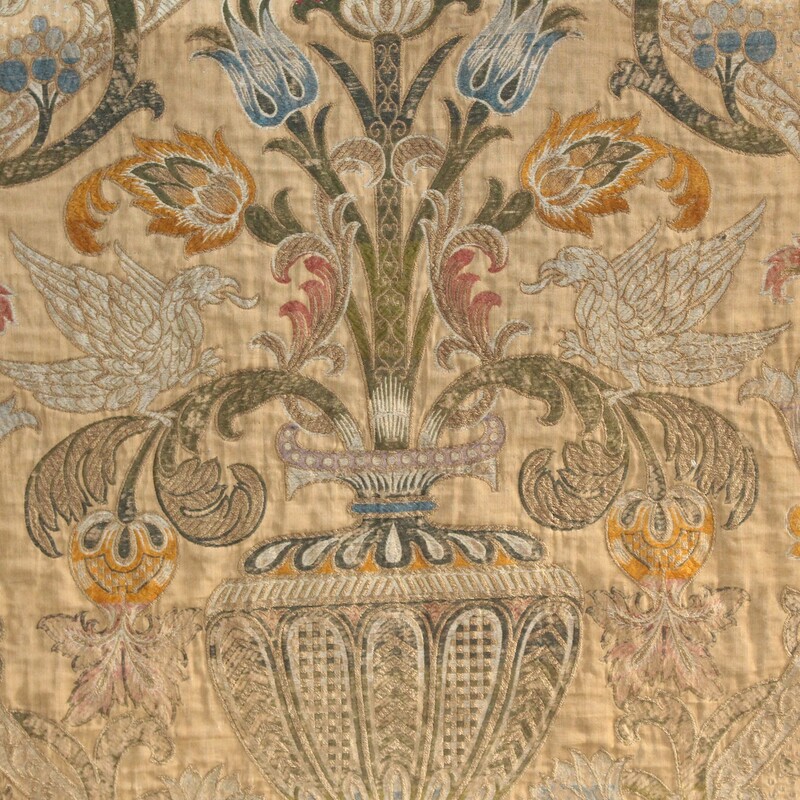 The pair of Griffins either side on each is shown in profile. 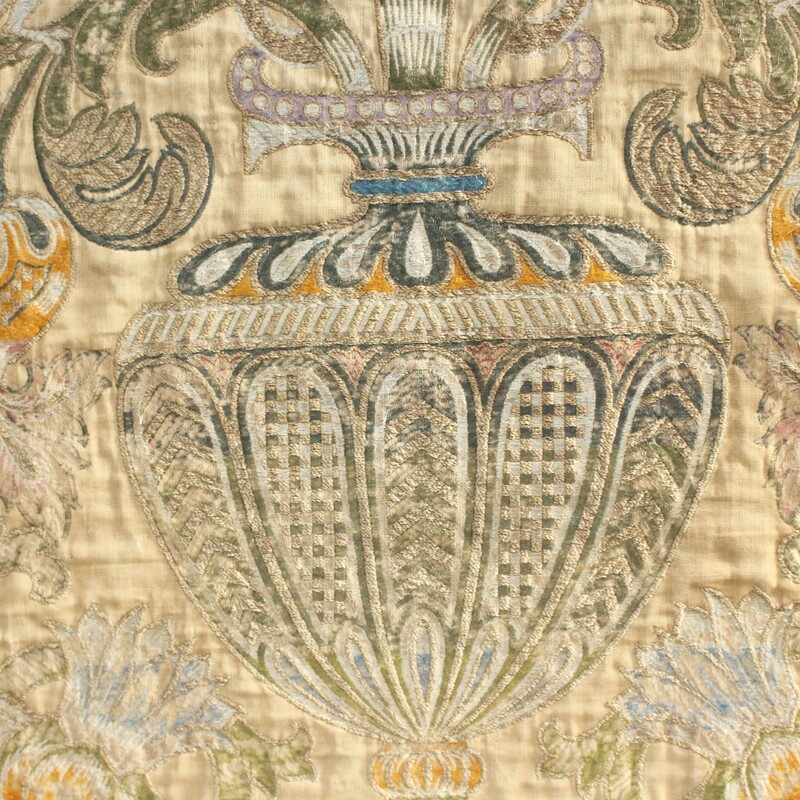 There is a metallic glow to the thread work which catches the light beautifully. 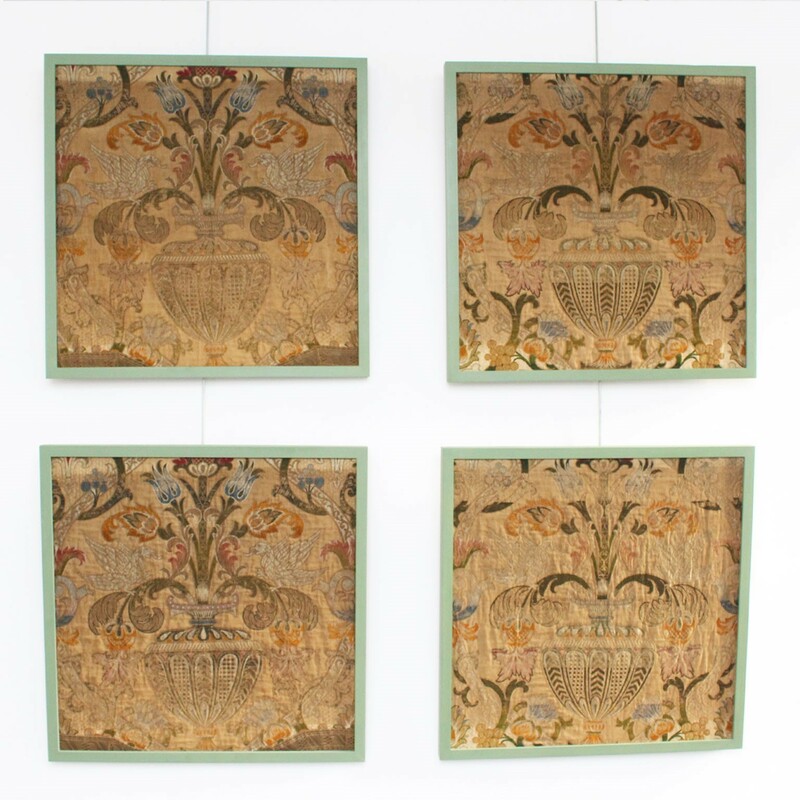 We have had them framed. 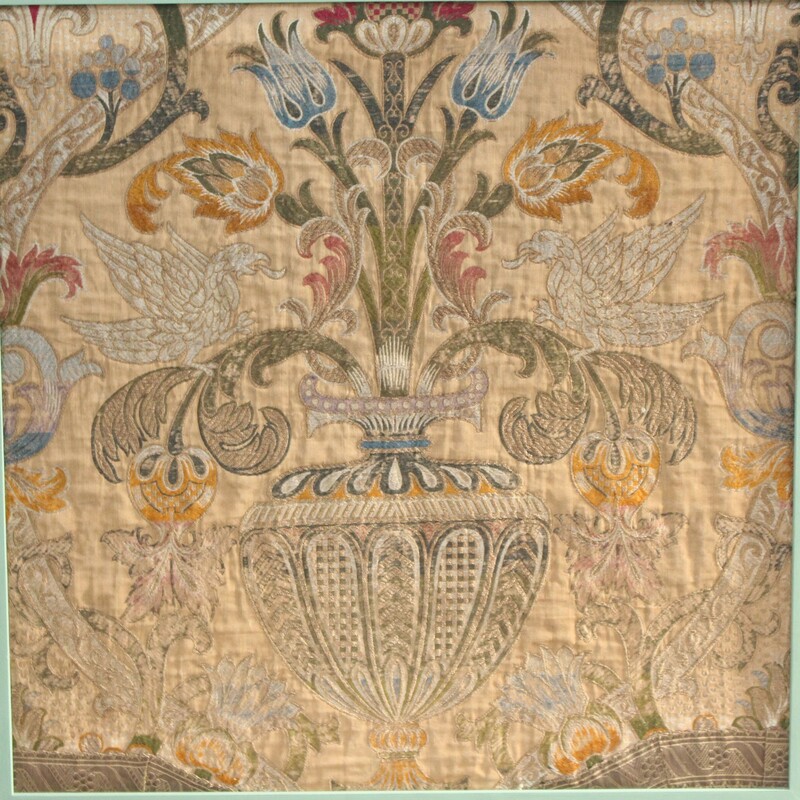 Good antique condition with some losses to stitching here and there.